I have been using this technique now for over ten years and I have finally decided to share what I have learned. The technique is known as ‘sweating’ and is used extensively in arboretorial circles. I use for the following species: Cratageus, Prunus, and most of the Rosaceae family, do not use on evergreen species. I collect trees with as much root as possible, but I have put roots on trees that have not had any. 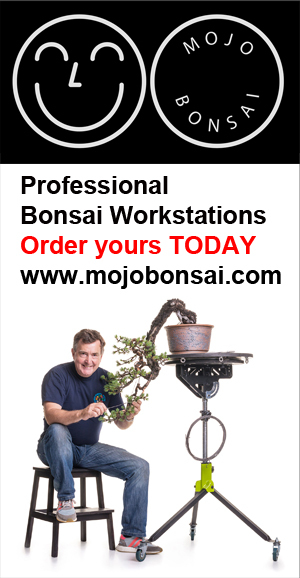 Follow this procedure and your success rate in establishing your freshly collected yamadori will improve immeasurably. Ensure that they do not touch the sides of the bag. When the new shoots reach 5cm or 2” remove from the bag and protect from cold and wind, mist spray daily and keep out of direct sunlight. Keep watch for the new shoots hardening off, then you can feed with a very diluted solution; do not work the tree for the first 12 months. Good luck, please do not copy these photos or the text, and share the link freely.